If there is one wine region in the world that everyone knows, it is Bordeaux. Bordeaux has over 6500 winegrowers and is home to some of the most illustrious Châteaux producing some of the highest quality wines in the world. Many wine drinkers know the prestigious Châteaux of Pomerol, Medoc, Saint Emilion, Paulliac and Margaux, but most are unfamiliar with the wines of Côtes de Bordeaux. The Côtes de Bordeaux is made up of five appellations Blaye, Castillon, Cadillac, Francs, and Saint-Roy, located on the right banks of the Garonne and Dordogne Rivers. Having recognized that there is strength in numbers, the separate appellations united to form “Union des Côtes de Bordeaux” in 2009. The wines of this region represent 10% of Bordeaux’s production, making red, white, rosé and sweet dessert wines. Every wine lover needs to drink Côtes de Bordeaux wines, they are delicious, easy drinking and are highly affordable. Being on the right bank, the wines are predominately Merlot based, blended with Cabernet Sauvignon, Cabernet Franc and Malbec. The wines have rich bouquets of fruit and spice with smooth silky tannins. I had the opportunity to interview four wine makers from Côtes de Bordeaux earlier in the year and their passion, commitment and dedication to their wines, the region and the planet were impressive. So if you haven’t heard of Côtes de Bordeaux wines, here are 5 reasons you should be drinking them now. Some of the most prestigious wines in Bordeaux command very prestigious prices too, which is one of the reasons many wine drinkers don’t reach for Bordeaux. However, let’s not paint the entire region with a broad brush, the wines of Côtes de Bordeaux are affordable and offer tremendous value. Many fantastic wines are easily available for under $30, with the large majority of quality wines in the $15-$25 range. This wine region is not only affordable from a wine consumer perspective, but it is also affordable from a winemakers perspective. Vineyards in Côtes de Bordeaux are more affordable than those in Paulliac or Margaux, hence the region has seen an entry of young winemakers, bringing in a fresh perspective and new ideas. So if any of you wine lovers are looking to make wine….. When I think of a wines that I wish to collect and cellar, I immediately think of the highly structured and tannic wines of classified Bordeaux. What many people don’t realize, myself included, is that unlike many classified Bordeaux wines, Côtes de Bordeaux wines are meant to be drunk now, on release. The wines are fresh and fruity with a bit of spice and smooth tannins. These wines are best enjoyed now or on any Tuesday night, with a barbecue or a gourmet meal. The wines don’t require any aging and are meant to be consumed immediately on purchase. No need to save these wines for a special occasion. There are no aging requirements for theses beautiful wines. So if you dont have the patience to wait 10, 20 or sometimes 30 years to enjoy a bottle of Bordeaux, then these wines are sure to appeal to you. There is a green revolution taking place in the Côtes de Bordeaux. With every new young winemaker entering the scene, there is a focus, commitment and dedication towards the environment. All four winemakers that I had interviewed were producing wines that were biodynamic or organic. In a region where herbicides and pesticides are common practice, it is wonderful to see winemakers take a stand and make sustainable wines. The Côtes de Bordeaux is also fondly known as “Bordeaux in Blue Jeans”, since most of the vineyards in Côtes de Bordeaux are family owned. This is unlike other parts of the region where large brands and exclusive Châteaux dominate. These are wines with a human element, wines made with the heart and soul of an individual winemaker. The winemakers are enthusiastic and passionate about their wines and they make wines as an invitation into their heart and into their family. Since Côtes de Bordeaux wines are affordable and do not require cellaring, they offer new wine drinkers an entry into the world of wines. The diversity of the region allows them to offer red, white, rosé, and sweet dessert wines, making them appealing to a wide variety of wine drinkers. Everyone can find a wine they like in the Côtes de Bordeaux, allowing you the opportunity to learn and educate yourself in this large and complex wine region. So if the high quality of Côtes de Bordeaux wines are not enough of a reason for you to drink them, you now have 5 more reasons to drink Côtes de Bordeaux. So grab a bottle or two or three of Côtes de Bordeaux on a Tuesday night in your blue jeans and explore all that this wonderful region has to offer. I had the honor of chatting with four winemakers from Côtes de Bordeaux and I was enamored by their love and passion for their region and of course their wines. Below are just a few samplings of their wines and are a great place to start when exploring the wines of Côtes de Bordeaux. Chateau Peybonhomme Les Tours Le Blanc 2016 $18 – The Hubert family settled at Chateau Peybonhomme near Blaye in 1895, and six generations have followed. I had the opportunity to speak to Rachel Hubert who described the estate on a hill overlooking the estuary. We tasted a Bordeaux Blanc and it was true gem of a wine. It was beautiful, fruity, fresh, with citrus and tropical fruits. There was a distinct salinity on the finish. A great wine to have any night of the week. Chateau Cailleteau Bergeron 2015 $20 – Several generations have been making the wines at this estate, going back to 1933. Pierre-Charles Dartier now runs the vineyard with his sister. We tasted this wine together which is a blend of 90% Merlot and 10% Cabernet Sauvignon. The wine is elegant, with lots of fruit and smooth tannins. What makes this wine exceptional is that it is entirely approachable now, but can also age for 10 more years. Chateau Lamo de Haux Premiere Cuvée 2014 $20 – This Chateau boasts a castle dating back to the 16th century and has belonged to the same family for the past four generations. Tasting the wine with Caroline Maureen, the wine is a blend of 60% Merlot, 30% Cabernet Sauvignon, and 10% Cabernet Franc. The wine is full bodied with understated oak that gives it a smooth roundness. It is another example of the versatility of Côtes de Bordeaux, as this wine can be drunk now or aged another 8-10 years. Here are links to my fellow French #winophiles as we discovers Côtes de Bordeaux this May. Those are 5 pretty good reasons. The vignerons I have met from the region have all been so genuine and down to earth. Very cool you had the opportunity to interview them! You nailed it! 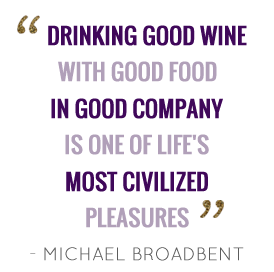 5 Great reason to drink Cotes de Bordeaux! You share compelling (and true) reasons to drink the Côtes Rupal. It’s refreshing to see so many vignerons moving towards organic farming, whether certified or not. I will send anyone who wavers to this article! You’ve nailed it, Rupal! All very good reasons to put more bottles from Cotes de Bordeaux in our wine shopping carts. What a fun topic this was, with such a range of wines to explore. Cheers! Affordable, approachable, with family growers and wineries who are becoming more and more organic and sustainable, how did I not know more about the Côtes de Bordeaux before? Thank you for a great piece! A really great overview of the region and sounds like you had some really great conversations with the winemakers. You’re eloquently outlined 5 great reasons to drink Cote de Bordeaux Rupal! Great post! I’m hoping to visit the region in September! Good point that these wines can be a good stepping stone!